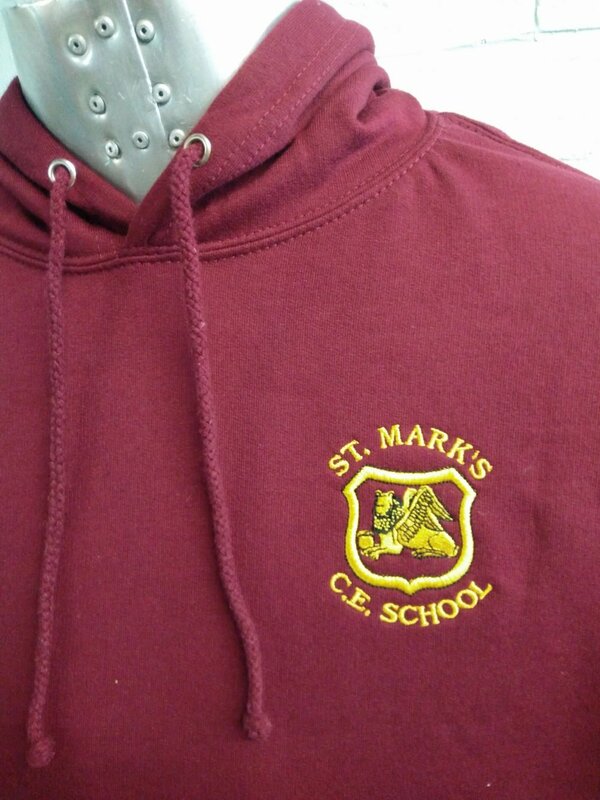 Burgundy Leavers Hoodies for St Marks CE School. 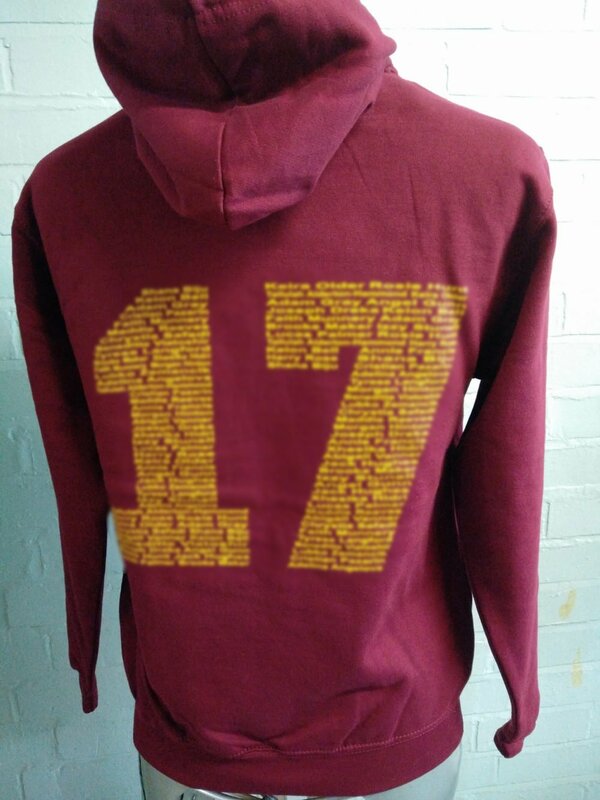 With custom embroidered logo on the front and custom leavers ‘names’ print on the back in yellow. 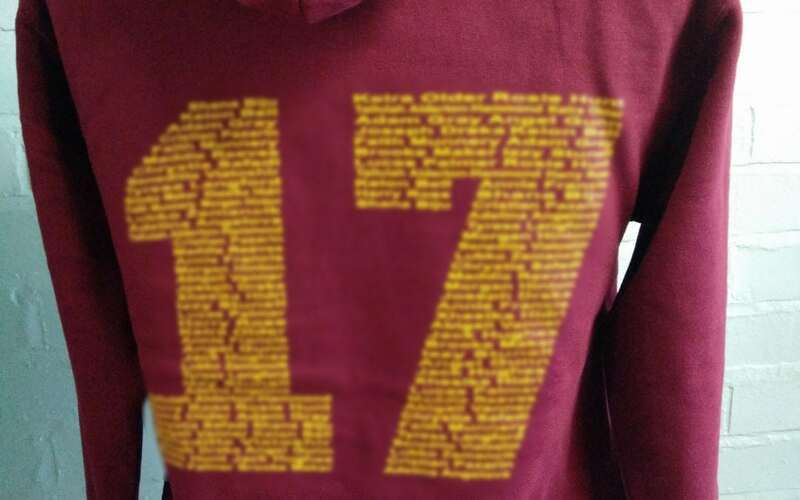 Our burgundy hoodie looks great for these guys!